1. 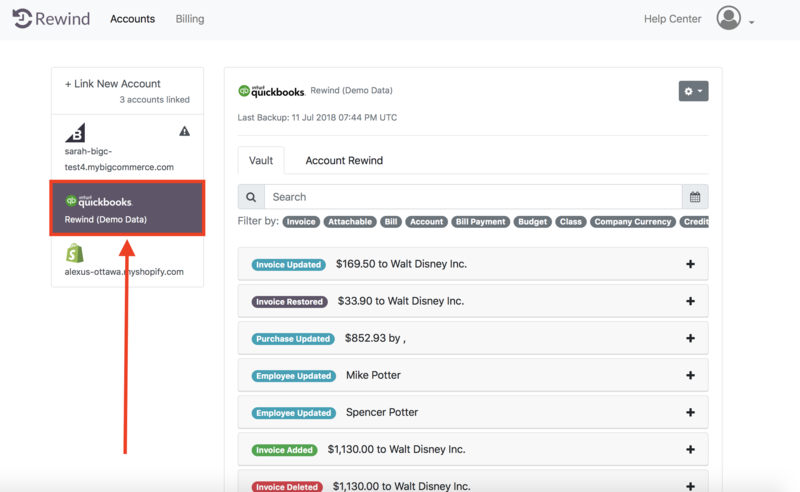 Log into your Rewind account at https://app.rewind.io. 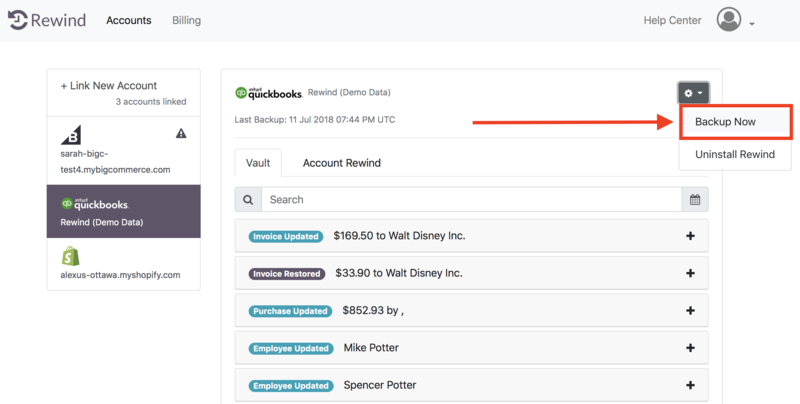 If you have more than one QuickBooks Online account linked to your Rewind account, make sure that from the left-hand side of your homepage, you've selected the QuickBooks Online account whose Vault you wish to view. Note: You may need to refresh the page a few times, but the backup should only take anywhere from a couple seconds to several minutes.